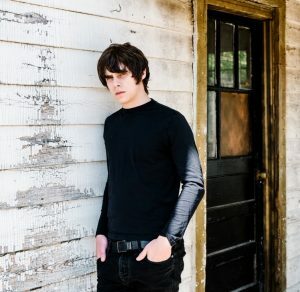 Award-winning singer-songwriter Jake Bugg heads out on an intimate solo acoustic tour this autumn including a night at St David’s Hall on Sunday 5 November. The Nottingham troubadour releases his stunning fourth album Hearts that Strain on 1 September, and fans have already been given a sneak preview of what to expect with its breezy first single How Soon the Dawn featuring Black Keys’ singer Dan Auerbach. Recorded in Nashville, Jake worked on this new collection of songs with some of the best players in the history of popular music. As part of American Sound Studio’s legendary house band The Memphis Boys, Gene Chrisman and Bobby Woods performed on such pivotal records as Dusty in Memphis, In the Ghetto and Suspicious Minds. Jake enjoyed a meteoric rise to fame in 2012 thanks to the huge popularity of his track Lightning Bolt, which was the soundtrack to Usain Bolt’s astonishing 100m win at the London Olympics. His subsequent self-titled debut album stormed to No.1 in the UK charts, and also featured Trouble Town (the theme tune to BBC’s Happy Valley) and the instantly recognisable Country Song. The album helped Jake win Q’s Best New Act, and he was also nominated for NME, BRIT, Ivor Novello and Mercury awards. The equally revered second album Shangri-La also went multi-platinum in 2013 and was followed by his largely self-produced On My One last year. Still a highly prodigious talent at just 23, Jake Bugg’s peak years remain far ahead of him. Parental Guidance: Under 14s must be accompanied by an adult.